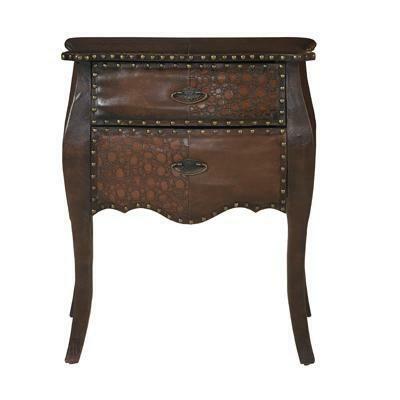 An eclectic and unique design, the Expedition Accent Table features an Amaretto Croc and Chestnut Alligator finish. 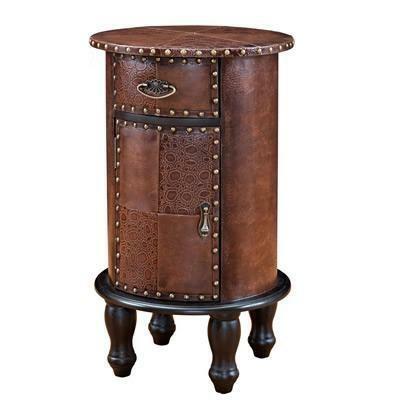 Its patchwork layout is accented with metal nailheads. 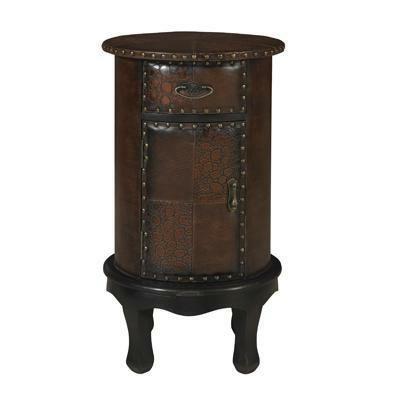 A round tabletop is perfect for display, while the one drawer, one door option provides hidden storage space. Fully assembled.